A flurry of exchanges, protests: What’s next for Koreas? 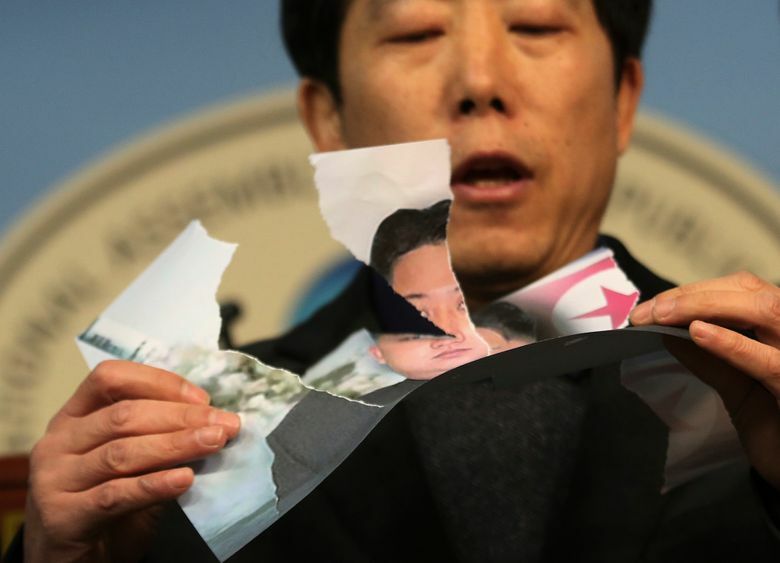 SEOUL, South Korea (AP) — South Korean activists tore photos of North Korean leader Kim Jong Un on Wednesday, a day after the North warned such actions could derail reconciliation efforts around next month’s Winter Olympics in the South. It seems unlikely North Korea would follow through on its threat, after going so far with its sudden outreach to the South following a year of elevated tensions over its nuclear weapons development. 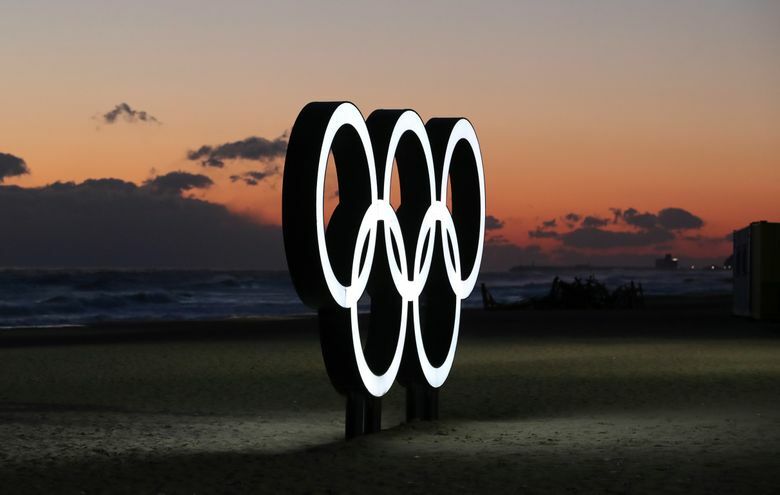 But the North’s bluster raises a question: Will the Olympics-related mood of rapprochement continue after the Feb. 9-25 Pyoengchang Games are over? 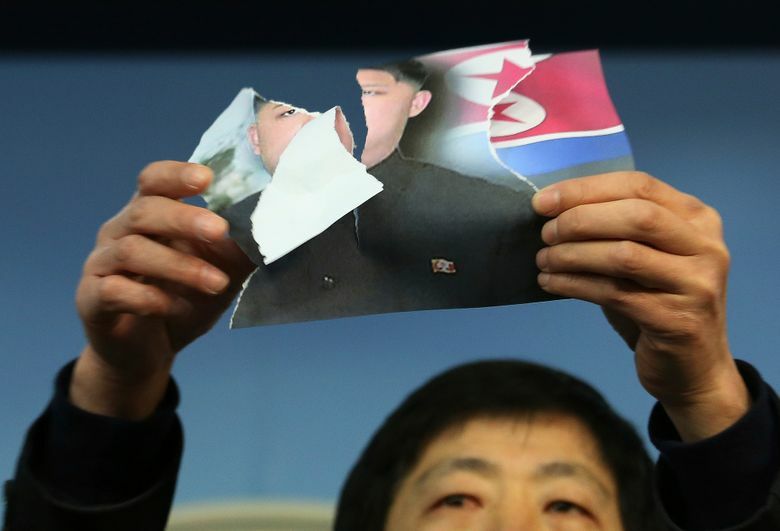 A small group of activists, mostly defectors from the North, ripped three photos of Kim and tossed the pieces into the air before assembled media at Seoul’s National Assembly. It was the latest in a series of rallies by conservatives, who accuse liberal President Moon Jae-in of giving too many concessions to the North. They say North Korea is launching a “peace offensive” ahead of the Olympics as a way to weaken U.S.-led international sanctions and buy time to perfect its nuclear weapons. 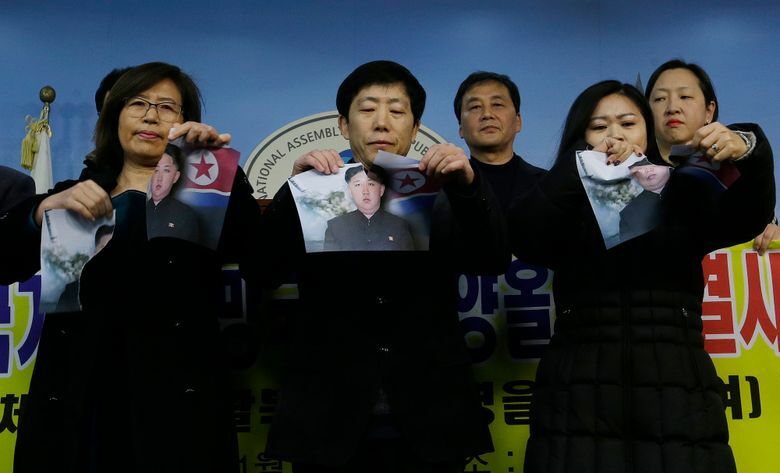 On Monday, about 150 to 200 activists and politicians stamped and burned a large photo of Kim and a North Korean flag as the head of the North’s popular girl band passed by them during a visit to Seoul. North Korea responded Tuesday by calling the protesters “human rejects” and “living corpses.” The statement by the Committee for the Peaceful Reunification also criticized the South Korean government for failing to prevent a protest that defamed its “supreme leadership.” Kim is the subject of a state-organized personality cult. 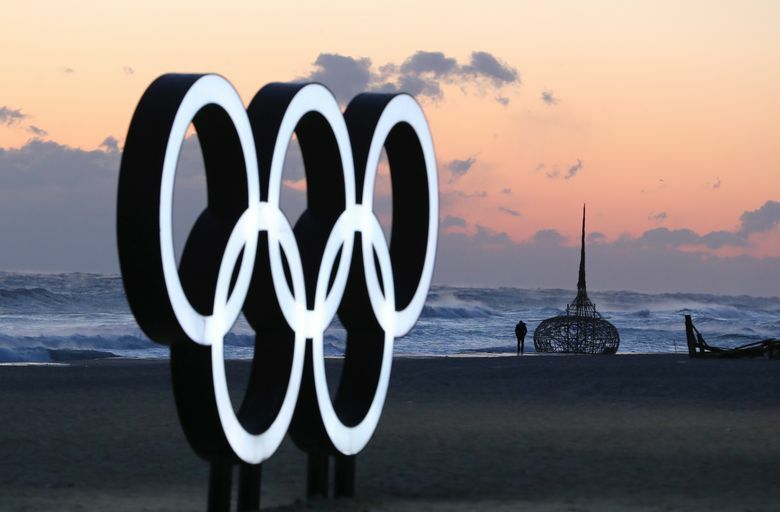 “If the North-South agreement and schedules for the (North’s) participation in the Olympics are canceled … the blame will wholly rest with the conservative group and the South Korean authorities,” it said. For now, fledgling cross-border visits have continued, suggesting that North Korea isn’t seriously considering withdrawing from the Olympics. South Korean officials are on a rare trip to the North this week to plan for joint pre-Olympic events at scenic Diamond Mountain and the new Masik ski resort. 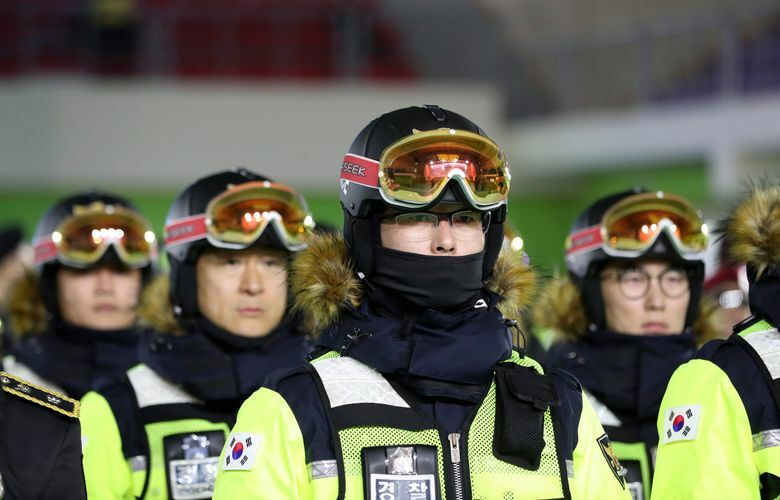 An advance team from the North is due to cross the heavily fortified border Thursday to look at accommodation facilities, a press center and the Olympic stadium. Earlier this week, another North Korean delegation triggered a media frenzy. Hyon Song Wol, who leads Kim’s hand-picked Moranbong Band, arrived to inspect venues for a 140-member art troupe — an orchestra and singers and dancers — set to perform in the South during the Olympics. TV cameras followed her every move during a two-day visit. The unified hockey team is a source of intense debate in South Korea. 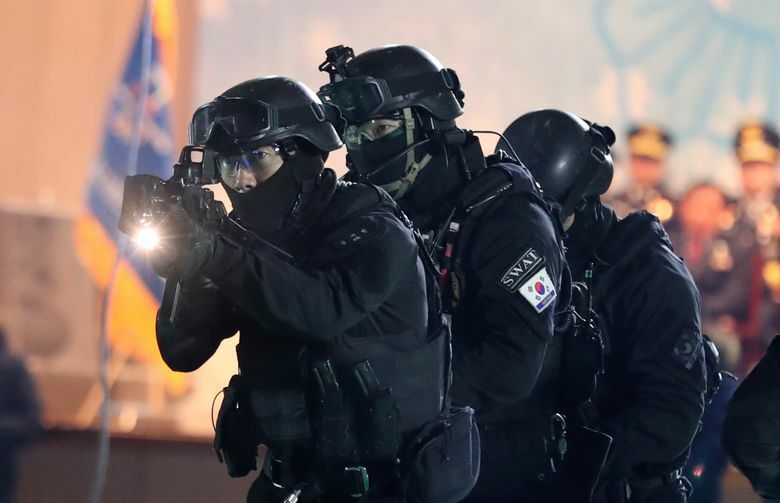 One survey showed about 70 percent of respondents opposing the idea because it would deprive South Koreans of playing time. The North Korean players initially planned to come on Feb. 1 with the 10 other North Korean athletes invited to compete, but South Korea requested an earlier arrival to practice together and develop teamwork. The IOC-brokered agreement requires at least three North Korean players to suit up for each game, meaning that three from South Korea’s original 23-player roster cannot play in those games. The Koreas’ agreement to have their athletes parade together under a single “unification flag” depicting their peninsula is triggering a backlash from conservatives, who question why the South Korean team cannot carry its national flag on the first Winter Olympics on their soil. Despite the opposition, the Moon government hopes that an Olympic-inspired mood of detente would serve as a stepping stone to the resumption of diplomatic talks that could slow down North Korea’s nuclear advancement. North Korea, however, has insisted it won’t discuss its nuclear program during its ongoing talks with South Korea, and some experts warn that tensions could flare again after the Olympics.